If you are starting a new business or trying to modernize the visual identity of your brand, logo design is surely one of your priorities. If not, something is going wrong right there. Your logo is not just the symbol representing your brand, it tells more than that, your story, your values but also your brand’s era of creation. Logo designs are becoming more and more innovative if yours is not relevant then the chances to memorize it will be very minimal. Simple will always keep its place among design trends. If your logo is simple it will not be complex to remember. Simple logos achieve deep meanings using minimum details and colors. Designers now should think beyond the aesthetic side of a logo to think about it’s usability in every different context. Your logo should be adaptable with every communication tool and presented properly on each one of them including business cards, packaging and digital platforms. It should be recognized whether it’s on a laptop, a mobile or a tablet. Pictograms logos are presented with drawn minimalist symbol that represents the traits of the brand. It is usually used to represent public facilities. Brands use them to express their creativity and imagination through a simple symbol easy to remember and understood by all people from different cultures. What’s cool about typography is that we are free to use it as we want. It has always been a subject of experimentation. Shapes and letters can be different, and we can dispatch them as we wish. Motion design is one of the leading trends lately. Animated elements have become a core part of the powerful design. Motion designers turn static logos into something new and unique that will definitely make your logo and brand stand out from the crowd. 5 Reasons to use motion design. Geometrics give a sophisticated aspect to the logo. Lately the focus has been put on minimalistic geometric shapes. From circles to squares to complex patterns, they are a unique logo style for the range of emotions they can express. The design scene is getting more and more interesting. With so many old and new design concepts, designers will be able to take risks and experiment new and original things. 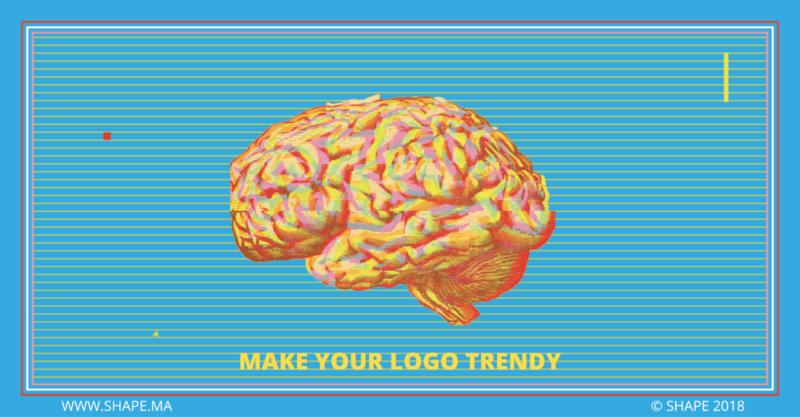 It’s time for you to unleash your creativity and take your brand to the next level.